Tons of athletes thank God when they’re accepting awards in front of people. Some even get specific and thank Jesus Christ, their Lord and Savior. 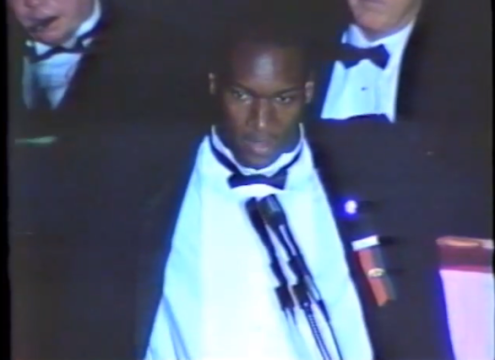 But in this rare video of the his great speech at the Heisman Dinner Gala, there’s 1985 Heisman Trophy winner Bo Jackson wrapping up by straight up witnessing. “I’d like to end my speech by giving thanks to the Lord because, just like I said and I’ll continue to say, none of this would be possible if it wasn’t for Him,” Jackson said, without any trace of the stutter that had plagued him for most of his college career. Amen, Bo. Love you, too. Here’s Bo actually being announced as the Heisman winner. Related: The Bo Jackson of Bo Jackson museums.